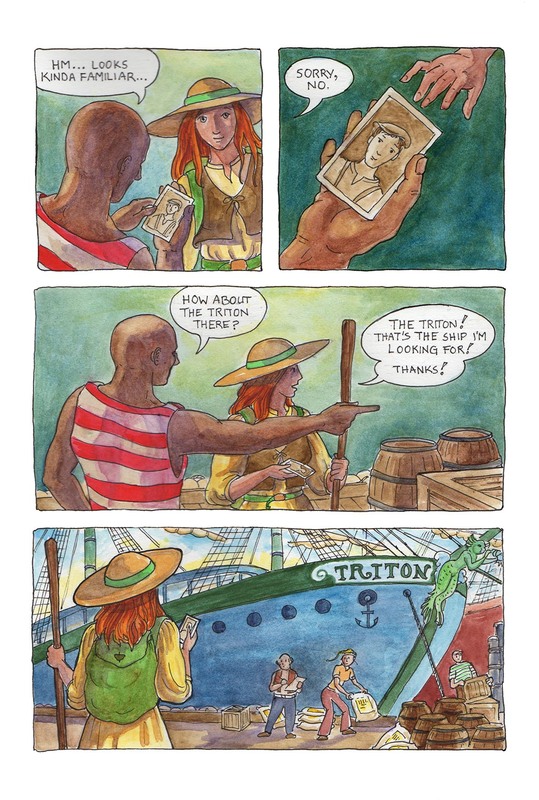 This comic was posted in Mermaid Music and tagged comic, graphic novel, harbour, Karen Gillmore, mermaid, ship, watercolour, webcomic. Aha, my plan is working! More next Monday.